My Big Fat Green Life: Nearly Wordless Wednesday: Reuse All The Things! Before we went to New Orleans I wanted to try chicory coffee so I knew what it tasted like (in case I hated it, which I don't). 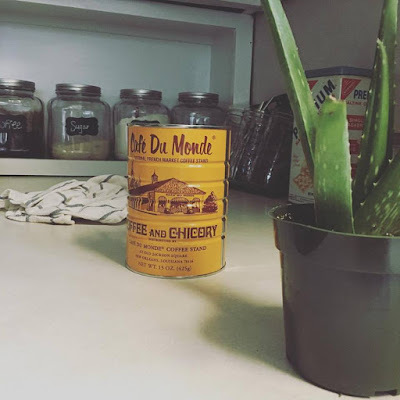 Over the weekend I bought myself an aloe plant and was trying to figure out what to plant it in. And, voila! Plant, welcome to your new home! P.S. 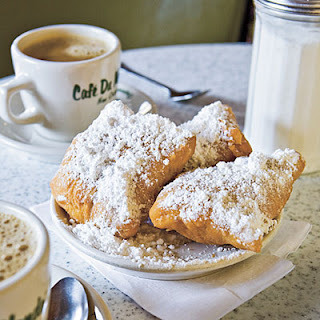 Cafe au lait and beignets 4 evah!